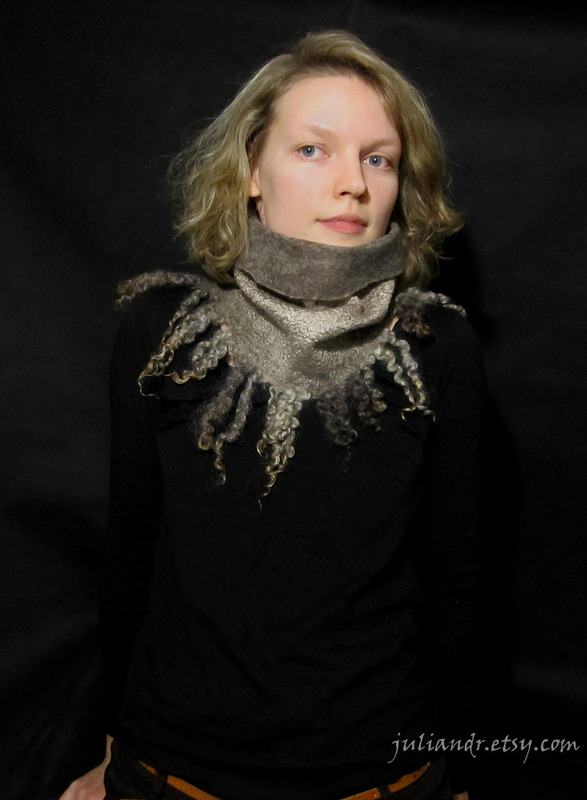 This one is an elegant seamless hand felted cowl in shades of gray, very warm and cozy. It was made out of British Bluefaced Leicester wool and tussah silk, and decorated with gorgeous undyed Wensleydale fleece locks. 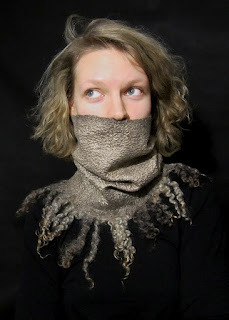 It is extremely soft and easy to drape, also double sided -- one side is wool, another is shimmering silk, the absolutely adorable smooth texture. 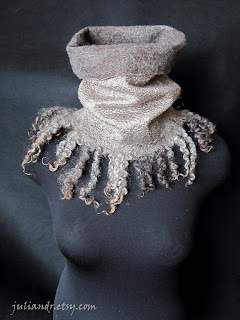 All the materials I've used are 100% natural, including the soap this piece was wet felted with. Measurements: 26 cm w x 30 cm h --> 10,2" w x 11,8" h, rather S-M size. 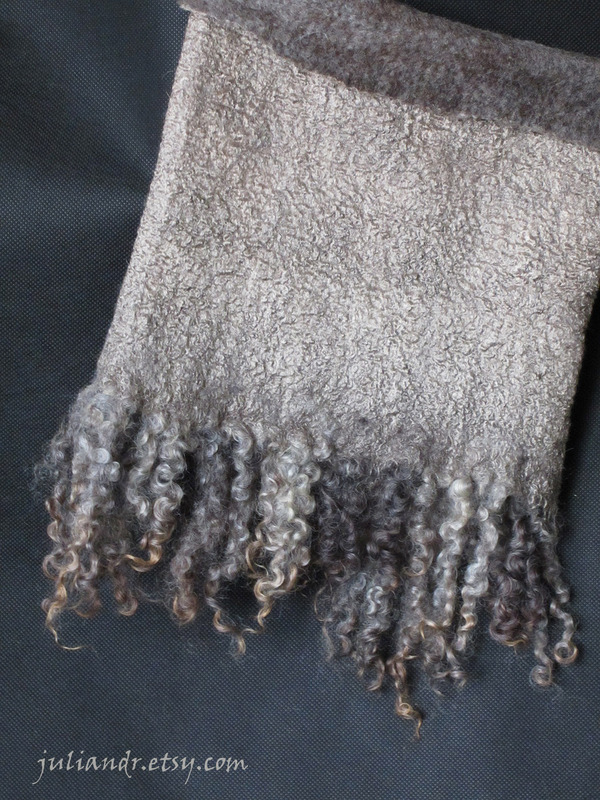 Fringe locks are 10-12 cm --> 3,9"-4,7" long.